The French Government and M/s Dassault Aviation have categorically denied the correctness of the former President’s first statement. The French Government has stated that the decision with regard to the offset contracts of Dassault Aviation are taken by the company and not the Government. Les Carabiners is a film by French New Wave director Jean-Luc Godard. Although it is unclear from Sontag's description of the film, it's an anti-war film. For more info: http://www.imdb.com/title/tt0056905/. f the kingdom of France has resisted it, why do we Germans suffer ourselves to be fooled and deceived? This mentions the political development in the form of resistance to the beliefs upon Pope's influence in the lives of Christians that was resisted by the French. It shows how Roman Catholic Church was losing its power as a result of Protestant reformations. French-Canadians is a term used when describing the families that speak French and live mostly in Quebec, Canada. Settling in this area long before the French and Indian War, the French began their settlements in the early 1600's. They were Roman Catholic, and had a distinct culture from their Protestant southern neighbors settling what would be called New England at the same time. These French-Canadians settled modern day Montreal and Quebec City, along with many other municipalities in the hundreds of miles in Eastern Canada and along the St. Lawrence River. They were farmers, priests, traders and voyageurs. Their biggest influence in the United States came when large numbers of French Canadians immigrated to work in the mills of New England in the era of 1870-1920. Moogk, Peter N. La Nouvelle France: The Making of French Canada: a Cultural History. East Lansing: Michigan State University Press, 2000. Hugh M. French, a member of the department of geography at the University of Ottawa, states that “nowhere has the frost heave problem been more critical than in the recent design of proposed chilled buried gas pipelines in Arctic regions” in his article entitled “Periglacial Geomorphology in North America: Current Research and Future Trends.” These chilled buried gas pipelines must function under extremely harsh conditions. They will be exposed to sub-zero temperatures in Arctic regions. Any water and vapor will “migrate towards the pipe” causing a frost bulb to form. This frost bulb will lead to the formation of an ice lens or numerous ice lenses which will cause frost heave around the chilled buried pipe (French, 1987). There are currently many techniques to attempt to predict the behavior of a buried pipeline that experiences frost heave. One such attempt to describe this phenomenon was proposed by Selvadurai and Shinde, both members of the American Society of Civil Engineers, in which they describe a detailed model of a frost heave zone caused by its associate frost bulb. 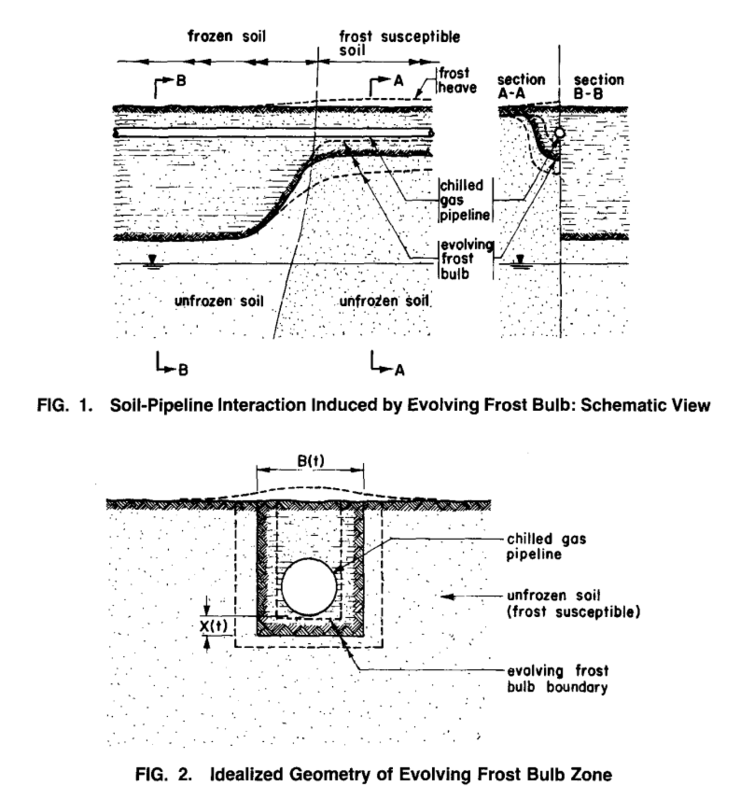 They base their model off of the “heave of a frost bulb zone that develops around the pipeline as it transmits its contents such as chilled natural gas” (Selvadurai & Shinde, 1993). French, H. M. (1987). Periglacial Geomorphology in North America: Current Research and Future Trends. Ecological Bulletins, 5-16. Selvadurai, A. P., & Shinde, S. (1993). 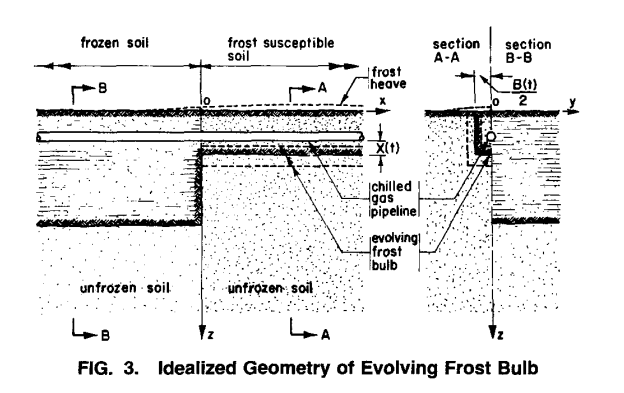 Frost Heave Induced Mechanics of Buried Pipelines. American Society of Civil Engineers, 1929-1951. In French, there's no difference (and now you see the pun!) in how "differance" and "difference" are pronounced, they're homophones, and also there are like two other puns going on in the nonsense language that is French (quatre-vingt, I'm looking at you), none of which translates into English. I think it's really important for reading Derrida to grasp that this is a guy who loves punning and language play, because pretty much all of this is going to be spinning donuts on the concept of stability. What was the "Black Legend" and how did other European powers use it to justify their attempts to compete with Spain for empire in the Americas? In what ways did the French presence in North America differ from the Spanish?